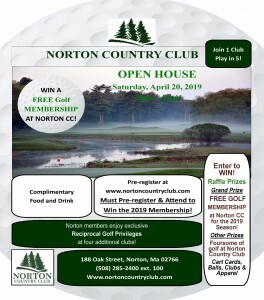 Norton Country Club offers a beautiful full service on-site banquet facility with a wide variety of choices to host your event. Our beautifully appointed ballroom can accommodate up to 175 guests seated and 250 guests cocktail style. Our cuisine and exceptional service will make your event at Norton Country Club unforgettable.